Ukraine as of November 13 had threshed 65.1 million tonnes of grain and leguminous crops from the area of 14.1 million hectares (95% of the forecast) with the yield being 46.1 centners per ha. According to the website of the Ministry of Agrarian Policy and Food, farmers harvested 34.3 million tonnes of early grain and leguminous crops from 9.9 million hectares with a yield of 34.8 centners per ha, 30 million tonnes of corn from 4 million hectares (87%) with a yield of 75.4 centners/ha, 135,000 tonnes of buckwheat from 107,000 hectares (99%) with a yield of 12.6 centners/ha, 78,000 tonnes of millet from 51,000 hectares (98%) with the yield being 15.4 centners/ha. In addition, 13.7 million tonnes of sunflower were harvested from 6 million hectares (99%) with a yield of 22.7 centners per ha, 4.3 million tonnes of soybeans from 1.7 million hectares (98%) with a yield of 25.7 centners/ha, and 2.7 million tonnes of rapeseeds from one million hectares with a yield of 26.1 centners/ha. Sugar beets were threshed in the amount of 12.6 million tonnes from an area of 256,000 hectares (92%) with the yield standing at 492 centners/ha. Along with harvesting, the autumn sowing campaign is underway. Thus, the farmers have sowed 7.1 million hectares with winter grains with the projected area being 7.2 million hectares, as well as one million hectares of winter rapeseeds (116% of the projected area). 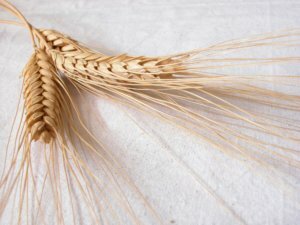 Ukraine as of September 18 threshed 36.8 million tonnes of grain and leguminous crops from an area of 10.4 million hectares (70% of the forecast) with the yield of 3.52 tonnes per ha, Ukraine’s Ministry of Agrarian Policy and Food has said on its website. The harvest of early grains and leguminous crops amounted to 34.3 million tonnes from an area of 9.9 million hectares with a yield of 3.48 tonnes per hectare. Some 2.2 million tonnes of maize was threshed from 402,000 hectares (9%) with the yield of 5.49 tonnes per hectare, some 84,000 tonnes of buckwheat was harvested from 66,000 hectares (61%) with a yield of 1.28 tonnes per hectare, and the total harvest of millet was 56,000 tonnes gathered from 36,000 hectares (68%) with a yield of 1.57 tonnes per hectare. In addition, 4.7 million tonnes of sunflower seeds were harvested from 2.2 million hectares with a yield of 2.13 tonnes per hectare and 837,000 tonnes of soybean from 346,000 hectares with a yield of 2.42 tonnes per hectare. Some 2.7 million tonnes of rapeseeds were threshed from 1 million hectares with a yield of 2.61 tonnes per hectare. A total of 947,000 tonnes of sugar beets were dug from 20,000 ha (7%) with a yield of 46.7 tonners per ha. Along with the harvesting the autumn sowing campaign is under way. 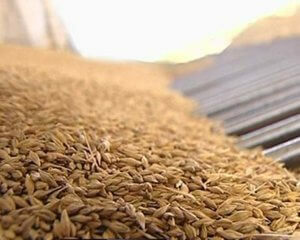 So, the farmers sowed 1.1 million hectares with winter grain crops (16%), with a projected area of 7.2 million hectares. In addition, winter rapeseed was sown on 882,000 hectares (99%) with a projected area of 888,000 hectares. 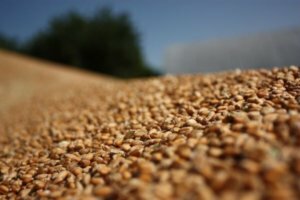 Grain Alliance (LLC Baryshivska Grain Company), a large agricultural producer in Ukraine, has completed the harvesting of early grain and legumes, having threshed 43,800 tonnes of grain from 7,800 hectares. 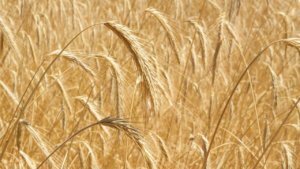 The average yield of wheat is 5.77 tonnes per hectare; second- and third-grade wheat accounts for 84.5% of the harvest, the company said on its website. The company is now preparing for gathering late crops. 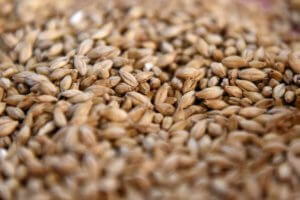 Grain Alliance was co-founded by Harvest Moon East LLC (Baryshivka, Kyiv region) and BZK Grain Alliance (Sweden) in 2009. Grain Alliance tills about 50,000 hectares of agricultural land in Ukraine’s Kyiv, Cherkasy, Poltava, Khmelnytsky and Chernihiv regions. 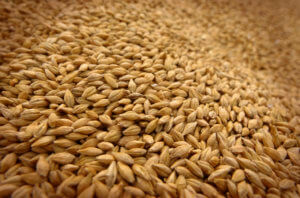 The company owns five grain storage facilities in Kyiv and Poltava regions, a seed processing plant with a capacity of 30,000 tonnes per year. Ukraine as of July 30 had threshed 22.4 million tonnes of early grain and leguminous crops from 7 million hectares (70% of the forecast for these crops) with the yield being 32.2 centners per ha. According to the Ministry of Agrarian Policy and Food, farmers harvested 17 million tonnes of winter wheat from 4.9 million hectares (76% of the forecast) with the yield of 34.8 centners/ha, 54,400 tonnes of spring wheat from 22,700 hectares (12%) with a yield of 23.9 centners/ha, 3 million tonnes of winter barley from 850,500 hectares (97%) with the yield being 34.9 centners per ha, 1.6 million tonnes of spring barley from 793,000 hectares (49%) with a yield of 20.8 centners/ha, and 590,500 tonnes of peas from 342,400 hectares (79%) with a yield of 17.2 centners/ha. The country also harvested 86,000 tonnes of rye from 36,000 hectares (24%) with a yield of 22.4 centners/ha and 25,600 tonnes of oats from 14,300 hectares (7%) with a yield of 17.9 centners/ha. In addition, farmers threshed 2.4 million tonnes of winter rapeseeds from 930,000 hectares (95%) with a yield of 25.9 centners per ha and 21,000 tonnes of spring rapeseeds from 12,000 hectares (17%) with the yield standing at 17.3 centners/ha.